This was a fast paced week. Lots of great things happening. I love being able to walk into the classrooms and see the great things our teachers are doing for the students. As we continue to move forward into the spring semester, let’s keep the knowledge flowing. I know our students will continue to be successful because of all the things you are doing for them. The week of February 1-5, I will not be on campus. The CITS team will be attending and presenting at the annual TCEA conference in Austin. We will be learning new ideas and sharing ideas with educators from around the state and country. As a presenter at this conference, I love being able to share with other districts that great things that are happening in LCISD. During this time, I will have limited access to my e-mail, but will be checking when time and connectivity permits. I will be back to my campus schedule starting February 8. The students take the label off the bottle, write the answers on the label, then reattach the label. 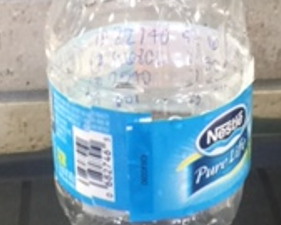 Then during the test, they simply leave their water bottle out and read the answers from the label. That’s why it’s best to have the students not only clear their desk, but also have them move all personal belongings away from their desk. I have also seen a similar technique done by etching or writing the answers onto the side of a pen or pencil. While it’s difficult to catch everything, the best method to dissuade cheating is to be up and moving around the room during the test. If the students know you are looking, they are less likely to try. Translate any page with the simple click of a bookmark. Translation happens in place without leaving the page with this simple and easy-to-use plugin. Step one is to select the language you will want a page translated into. Step two, drag the word “Translate” onto the favorites toolbar at the top of the screen. When you visit a page that is in a foreign language, simply click the Translate button on the toolbar. While the overall list of keyboard shortcuts is extensive, start with a few, then start learning others. Very quickly you will find how efficient these simple commands can make working with the computer.